3. Visit famous cities and top universities. 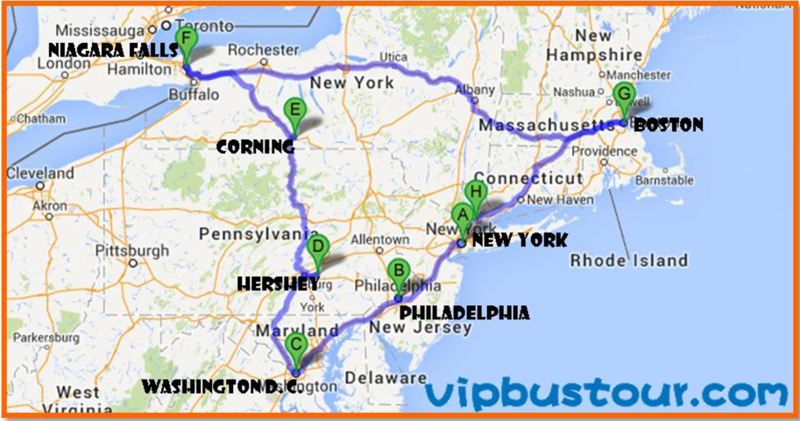 In the morning the bus tour will depart from New York to visit the Corning Museum of Glass which is the largest glass museum in the world with more than 45,000 objects from over 3,500 years of glassmaking history. You will also see live, narrated glassmaking demonstrations. Afterwards the bus tour will take you to Niagara Falls. 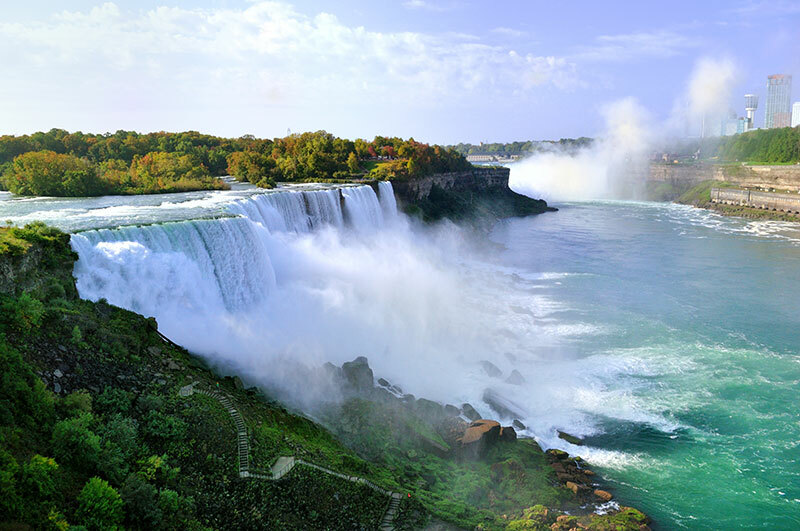 The Falls is collectively made from the American Falls, Bridal Veil Falls, and the Canadian Horseshoe Falls and are famous for their beauty and as a valuable source of hydroelectric power. In the evening you can enjoy breathtaking views when the intense spotlights shower the falls with different shades of rainbow colors. The Falls is also a place where many couples come to admire the beauty of the falls while enjoying a romantic evening. In the morning the bus tour will see the spectacular views of Niagara Falls up close. A ride on the Maid of the Mist boat ride (seasonal) will soak you as you explore the roar of the Falls. This historical ride is a half hour thrill of a lifetime and is North Americas oldest tourist attraction as millions of visitors have enjoyed the boat tours since 1846. 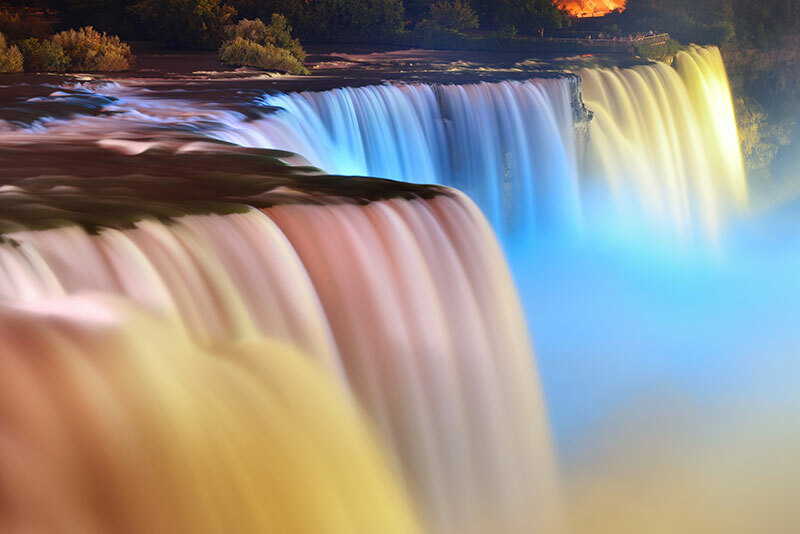 You will also go to the IMAX Theatre to experience the Falls like never before. Here you can see "The Falls Movie: Legends and Daredevils" - one of the most spectacular IMAX movies of all time. You will sit in a giant six-story movie screen and feel the power of 12,000 watts of thunderous digital surround sound where you can see behind the mist, myths and mysteries of one of the most storied natural wonders of the world. 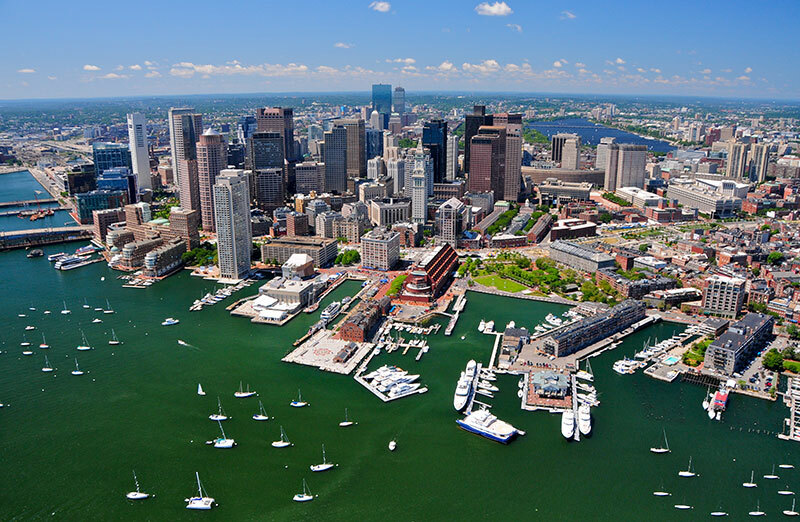 Afterwards, the bus tour will travel to the historic city of Boston which is the capital and largest city of Massachusetts and also one of Americas oldest cities, with a rich economic and social history. Upon arrival you will be able to feast on a delicious lobster dinner. 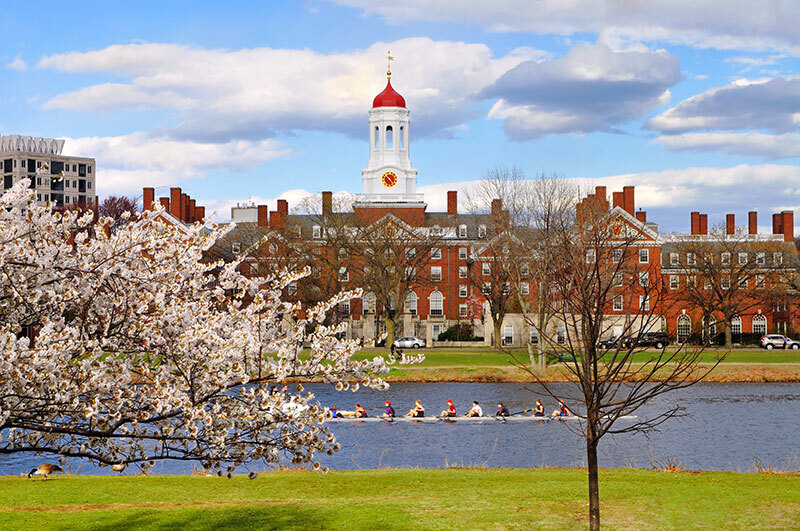 In the morning the bus tour will continue the city tour of Boston with a stop at Harvard University; the oldest university in the United States. You will also visit Massachusetts Institute of Technology (MIT); a world-class institution that educates students in science and technology. 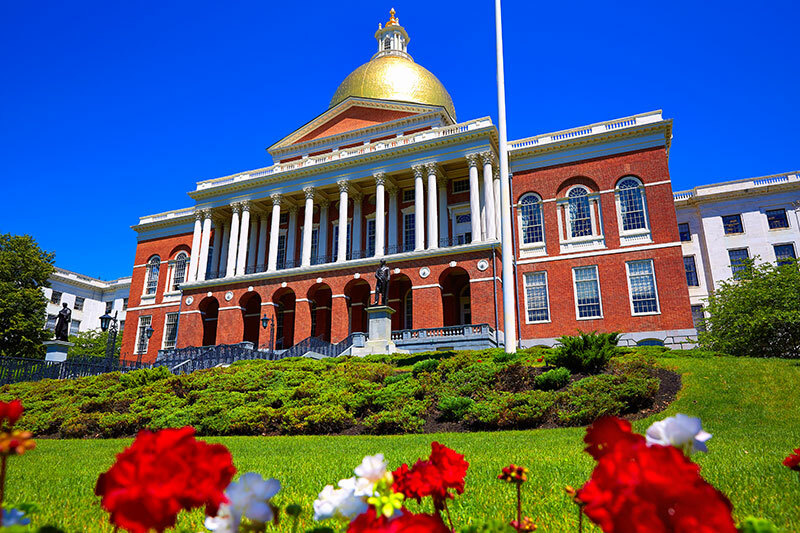 The tour will also take you to the Massachusetts State House which is the magnificent setting for their state government for over two centuries has become an outstanding museum reflecting the history of Massachusetts since colonial times. You will also enjoy the shops and foods at the Faneuil Hall Marketplace, also known as Quincy Market which is set around a cobblestone promenade where jugglers, magicians and musicians entertain the passers-by. In the afternoon the bus tour will return back to New York City.